Two of my favorite pleasures in life are music and wine. The third might actually be marketing, and when I stumbled upon David Pack’s Napa Crossroads CD, I found all three bundled into one. David Pack, is a musical trailblazer and the more I have gotten to know him during the interview process, the more impressed I become. David is a Grammy Award-winning musician and producer. He began his career as the lead vocalist and guitarist with the rock group Ambrosia, popular in the 1970s and 1980s, with top hits like You’re the Only Woman (You & I) and my personal favorite Biggest Part Of Me. He has sold over 40 million units worldwide as both a performer and producer combined. He’s produced for incredible artists like Wynonna, Phil Collins, Aretha Franklin and Kenny Loggins, to name only a few. He served as music director/producer for former President Bill Clinton’s inaugurations in January 1993 and 1997. This guy has been making and driving the most popular music we’ve been listening to for decades. The CD is a compilation of 15 songs, performed by David and other talented musicians such as Alan Parsons, Bela Fleck and Todd Rundgren to name a few. I had seen the list of performers on the cover, but decided that I didn’t want to go through the song list, that I would just listen. It was just about cocktail time, so I called a dear friend of mine to get together for a drink, as I wanted to get the full experience. I poured myself a glass of my favorite Napa Valley chardonnay and my friend Carol a glass of Pinot Grigio. She typically drinks an Italian varietal, but we grabbed her second favorite, which is from Napa, to stay with the theme. 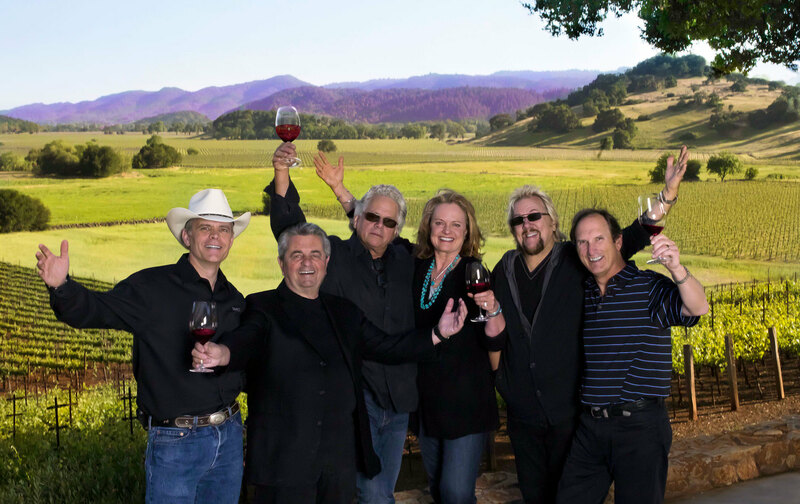 We touched our glasses together and made a toast to Napa Valley and hit play. We were not disappointed. It is perfect mood music, from start to finish. As I learned more about the project, my love for the music became deeper. I started off asking David about where his love of wine came from. It turns out a fellow musician got him hooked with a bottle of French wine. “Alan Parsons introduced me to French wine in the mid 70s when he was involved in both mixing and producing our first two Ambrosia albums. Then he was producing Al Stewart’s ‘Year of the Cat’ record, asked me to sing on it, and Al turned out to be ‘the man’ when it came to collecting, and extolling the virtues of the best of French wine–including La Tache, which he bought case-loads of yearly. “That awakened me to the ‘fine art’ of wine making. 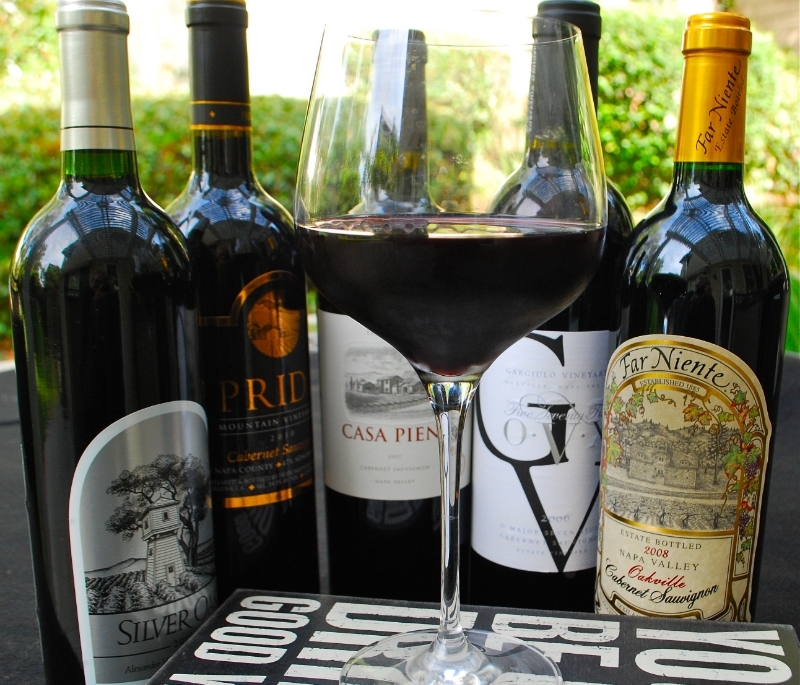 Then I had my first California Cabernets, BV Private Reserve, but then…while in Napa in early 80s I had the epiphany with Silver Oak and bought my first ever three cases! “It was vintage 1978 and I actually still have three bottles left. 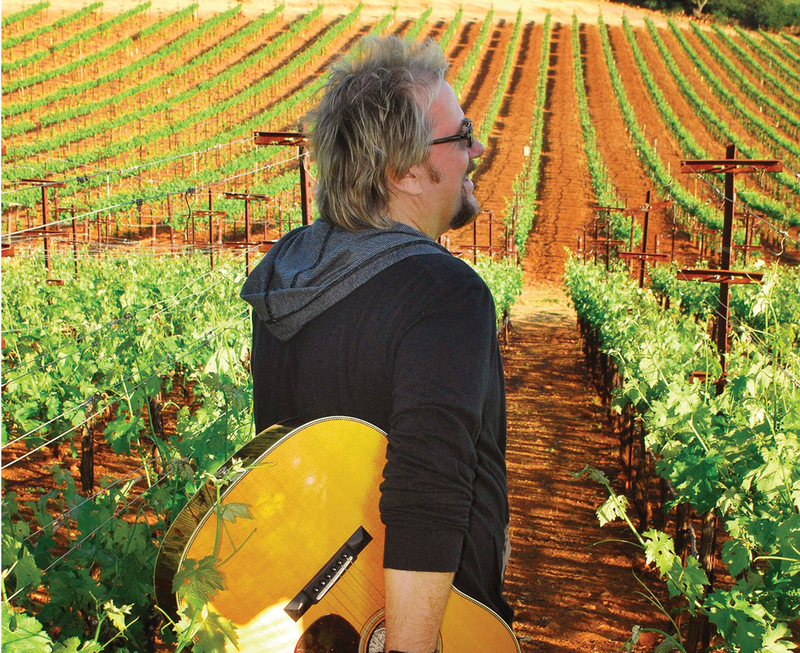 This CD project is more than just tracks of music, it’s more than just wine, David has taken as much care with this, as a winemaker does creating a new varietal. There is a deeper relationship here, so I asked him, how his love of wine marries with his love of music. David said, “They are both complex but parallel art forms. You have to pay your dues from the ground up with both. They say making a hit record is like capturing lightning in a bottle, and in wine making I say creating that perfect 100 rated vintage is like capturing a bottle full of lightning. “I am captivated by the art of the winemaker and of viticulture itself. I’m not into ‘vanity wines’ with photos of recording stars, or old movie stars, or the ‘in-crowd-trendy wine thing to have’. I’m deep into the real thing, and same with music making. When you realize the ‘final blend’ of a Cabernet can be from 60 different lots of grapes all with differing characteristics, and the winemaker must decide which percentage of each of the 60 lots gets blended in–then how long in the barrel, and what kind of Oak, American, French? And what kind of toast to the oak…then they have to imagine how this ‘living substance’ will evolve and taste in 5, 10, 30, 50 years. “That is magic. In music we create the mix the final project and that is ‘it’. It’s mind-blowing to me to create something that would keep changing, growing, evolving, picking up different shades, layers of taste on the palate. When I listened to the album, I just put it into the CD player and pressed play. I didn’t want to look at which artist was playing along with David on each track. When I got to Track 2, I knew it was Ray Manzarek of The Doors. I am a huge fan. Here is what he had to say about working with him on this project and about the making of “Silverado Free”. Pack explained, “This became my favorite and most meaningful track on the CD. I wrote this song for Ray Manzarek. Little did I know it would be his final great performance of a lifetime, and final narration. 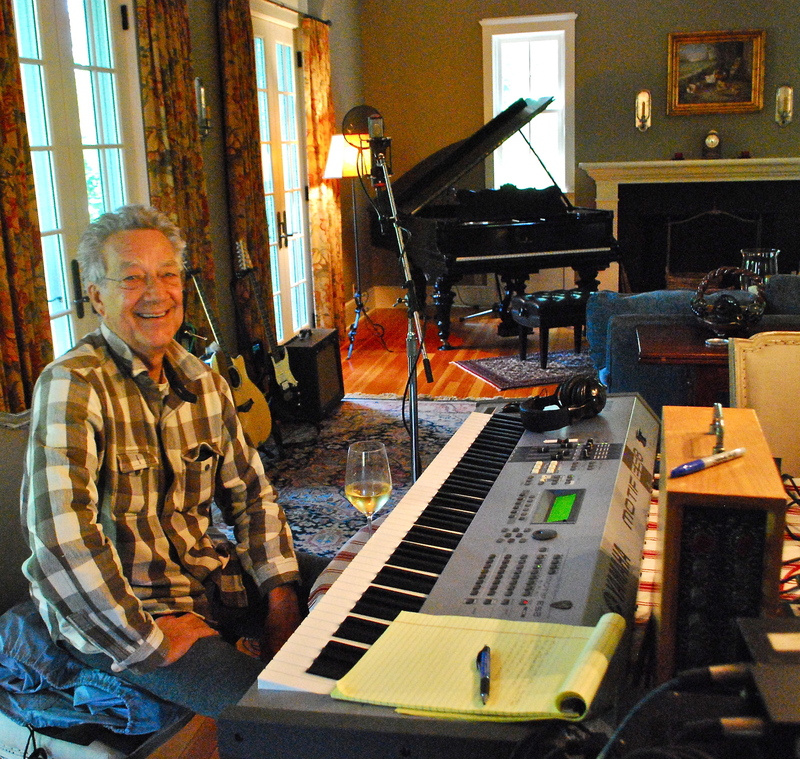 “Ray lived for over a decade in Napa…how could I not write the ‘wizard of the valley’ a song for this project? We met around 2008 at Trefethen Auction dinner, he had his keyboard on the grass and after we had dinner together he said ‘why don’t you sing some Doors songs with me?’ We rocked it and that’s when I made a serious connection to this genius and globally beloved artist. SW: How did you select the five winery partners for the project? DP: They were all friends or people I’d performed for or with. It started with Jeff Gargiulo of Gargiulo Vineyards who invited me to his Harvest Jam called “Oakville Sessions” in 2005. He is so great! 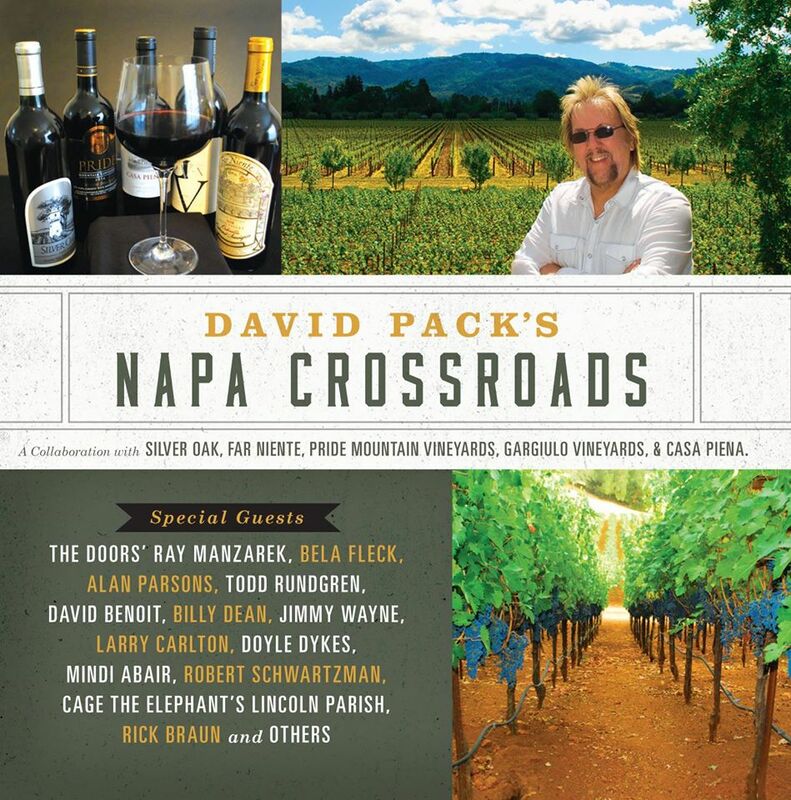 He indulged my dream to meet the great winery owners and winemakers and I indulged his: I wrote a song with him for his daughter April’s 2006 wedding, called April Born In May, with country star Billy Dean helping too…and now that song is on the Napa Crossroads CD. Jeff introduced me at that first Harvest Jam to David Duncan, CEO of Silver Oak–and I just knew I’d met a life-long friend and someone who was already writing poetry and playing music in a sort of folksy bluegrass ensemble, but also a lover of Stones, Dead, Doors, Who! And he loved the idea of co-writing with me songs that were real parts of his and my life. David and Jeff were the first two to come aboard. And it grew to become 5 great wineries and great people. I literally felt like I was in a heaven on earth scenario, having these winery owners as my partners on a once-in-a-lifetime project like this. SW: How did you select the individual artists that play along with you on the album? DP: Again, friends and “casting” the right friends to play on the right songs. That’s what a producer who knows his craft does. He “casts” the musicians, the engineers, the singers, just the right way. Quincy Jones taught me a lot about this, and he is one of my real life mentors in this area. It also comes from a lot of experience in the studio and the true blessing of having these kinds of artist friends. I do the same favors right back for them when they need it. We all pull together. SW: Are the other artists also wine enthusiasts? DP: Many, yes. We all bow to Al Stewart, who spent most of his royalties for 30 years on buying great wine, and sharing it, as he is so generous. Mick Fleetwood, Jonathan Cain of Journey, and even Kix Brooks of Brooks and Dunn has a Tennessee winery, and of course my dear friend Alan Parsons, to name a few. Robert Schwartzman, who sings “Full House Full Heart” on my Napa CD, was raised in Napa Valley at his uncle Francis Ford Coppola’s winery. Robert kindly introduced me to Bret Lopez, the owner of Scarecrow winery, who bought his property from Francis and then made some of the most sought after and successful current wines in the world. Then there’s Pink, who I’ve learned from Jeff loves his Gargiulo Vineyard wines. Lil Wayne shows up a lot at Pride Mountain and so does actor Will Ferrel. There’s an artist-wine loving sub-culture out there and I probably shouldn’t go name dropping too much out of respect! SW: “Napa Crossroads” what does the title mean to you? DP: The intersection and first-ever coming together of the culture of fine wine and fine music making, the blending of these great arts and artists; a place where people share each other’s passion for these arts by actively collaborating in creative co-op type environment. It’s an attitude, a state of mind, and so much more. That’s why, five years later, I have had the realization that it must go on, and grow into something larger where more collaboration happens, more “co-opping” of wine, music, and lifestyles. SW: This project took years to pull together. It seems like you’ve put so much into it, along with so many amazing people, do you miss working on it? Napa Crossroads Live! How do we stage something this huge? It’s a real fun challenge. And we are starting to define that by doing private events as well as public events. How do we scale it for club or for a “Google convention?” No one’s ever done anything like this, so we are–in our own happenstance way–blazing our own way. And it’s also a wonderful payoff for the “fruits of our labor”! SW: Are you enjoying having the music out to the world to enjoy? DP: I am enjoying it, yes. It’s just not easy to break through the clutter with a Napa Crossroads concept project like this. You think Starbucks would jump on this, but alas, it’s all political. There’s fierce positioning for those precious four CD’s you see there. Yet, Starbucks is starting to sell wine at various new outlets…so, C’mon S’bucks, your customers will LOVE this!! Thankfully, I actually befriended the President of Whole Foods Southern Pacific, who lives near me and is an artist himself, Patrick Bradley. He was so gracious in helping to get our CD in most of their American stores. It helps that he makes his own superfine CD’s too, you should check it out next time you’re in the WF check-out line! Distribution for music CDs, in case you haven’t noticed, is worse than it’s ever been. Where does anyone buy CDs these days? How can you discover a Napa Crossroads CD? I mean even Costco has relegated music CDs to a couple of lowly boxes. Why? The people who hear our CD are almost deliriously thrilled with the music–no one expects it to be this good, is what I constantly hear, and that is the ultimate payoff– if we could sell a few hundred thousand CDs, that too would be really nice ! But the truth is: we honestly didn’t do it expecting it to be commercially released. It was only going to be sold at the five wineries. It’s almost a fluke that a major label has released our CD. SW: Are you planning on another project like this? DP: Yes, and was just in the studio the last two days, writing and recording what I think is a killer new song for Napa 2. And like Napa Crossroads, this new song is based on reality. DP: On a “dessert” island? Is that a mis-print ? If not, I guess I’d bring a great Far Niente desert wine Dolce! to go with my island of “just desserts”…and all of my friends, before the ice cream melts. To learn more about David Pack’s Napa Crossroads project go to http://www.napacrossroads.com/. To read the Luxe Beat Magazine version of this article click on the title David Pack’s Napa Crossroads a Toast to Music.